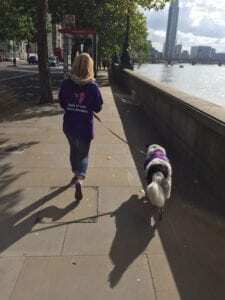 Over 90 people took part in the 2017 sponsored walk to raise funds for TTP Education & Research. 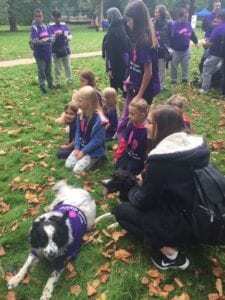 Despite the forecast for rain, the weather was fine and there was every age group represented from toddlers in prams to pensioners, with even a couple of our four legged friends keen to play their part. The route covered six London bridges and was a leisurely afternoon with plenty of stops to take photos and a break for a bite to eat and fuel up! TTP is a life threatening rare blood disorder that can affect any age group. The charity researches into the cause of this disorder and educates patients/families.